KXCI On The Air: Robert Earl Keen Friday at The Rialto, KXCI Presents! Robert Earl Keen Friday at The Rialto, KXCI Presents! KXCI Presents! 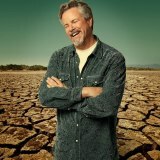 Texas singer-songwriter, Robert Earl Keen, this Friday at The Rialto Theatre. Keen is heralded for his rockin’ brand of Americana and energetic live shows where, in the words of his song- “the road goes on forever and the party never ends”. Doors open at 7pm on April 5th with Andrea Davidson. Tickets and more information at RialtoTheatre.com or 740-1000. Robert Earl Keen is an American singer-songwriter and entertainer living in the central Texas hill country. Debuting with 1984's No Kinda Dancer, the Houston native has recorded 18 full-length albums for both independent and major record labels, while his songs have also been covered by several different artists from the country, folk and Texas country music scenes (including George Strait,Joe Ely Lyle Lovett, The Highwaymen, Nanci Griffith, and the Dixie Chicks.) Although both his albums and live performances span many different styles, from folk, country, and bluegrass to rock, he is most commonly affiliated with the Americana movements. In fact, he was the first "Americana" artist to appear on the cover of Gavin magazine when the style was officially recognized as its own genre in 1998. Additionally, although Keen has toured extensively both nationally and internationally throughout his career, he has long been heralded as one of the Lone Star State's most popular and consistently acclaimed musical ambassadors, leading to his induction into the Texas Heritage Songwriters Hall of Fame in 2012 along with Lovett and the late Townes Van Zandt.